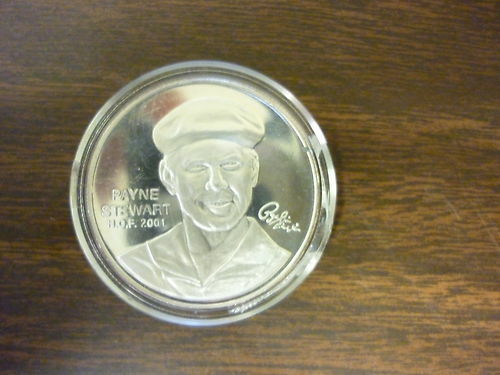 This coin is made to commemorate PGA Hall of Famer- Payne Stewart. Bearing a beautiful shiny finish this item is made of heavy silver clad. This item is also sealed in an air tight preserving container for collectors purposes.